It’s easy to see why too. Bentley claims that it effectively shaped the segment of the luxury coupe 15 years ago and it’s hard not to agree. Just as there was little else on the market like it then there’s little else like it now. Rivals are sportier, more aggressive, cheaper and more expensive but none can walk the tightrope of a luxury performance grand tourer quite like this. Three generations on and Bentley is understandably keen not to mess with what’s been a winning recipe so far. 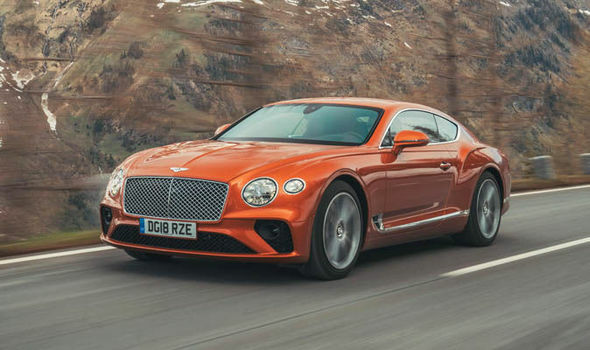 So while this new Continental GT brings Bentley’s design right up to date it’s definitely more of an evolution than any kind of wholesale rethink. The nose is more aggressive, with a wider grille and oversized headlamps modelled on a crystal cut glass design, while there’s a sportier roofline and pinched rear that’s not entirely unlike the old Aston Martin V8 of the 1990s. 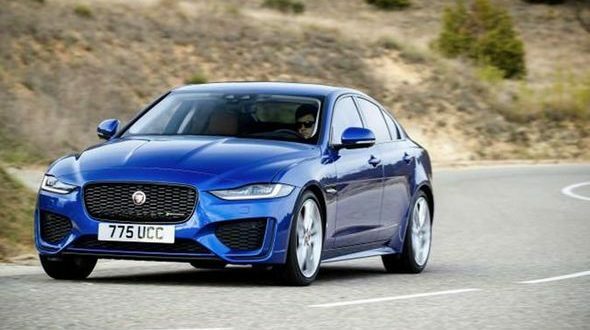 Overall the look is one of a sportier and lighter car than before, which will be familiar to existing owners while also giving it a fresher and sharper shape. Certainly the pre-existing orders seem to reflect that too: more than half of them are new to Bentley. But for all that change some things remain the same. Under the bonnet Bentley has continued with the 6.0-litre, twin-turbo W12 engine albeit with several subtle changes. With a whopping 626bhp going to all four wheels it can get the 2.2-ton GT from 0 to 60mph in just 3.6 seconds and on to a top speed of an incredible 207mph. Emissions stand at 278g/km with an average fuel economy of 23.3mpg, although both are unlikely to be high up the list of priorities for new owners. 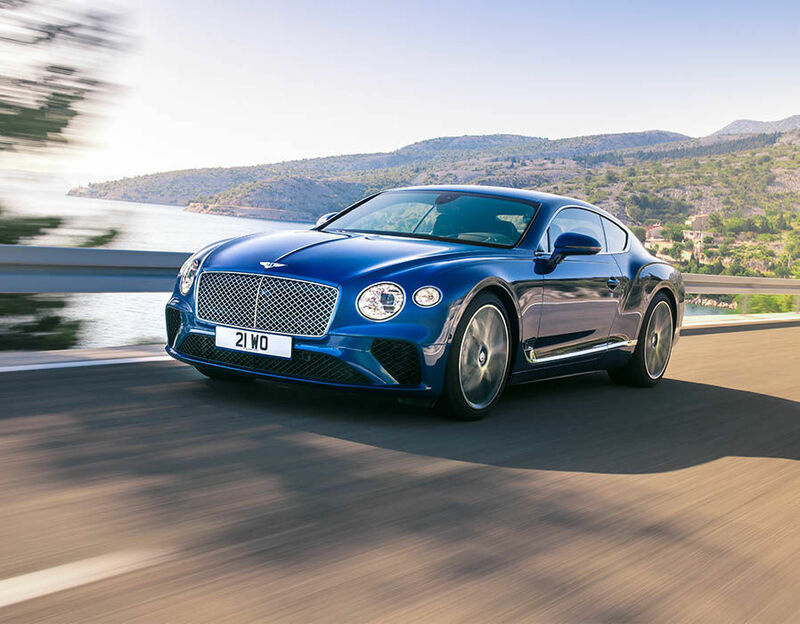 As with previous versions of the Continental GT don’t be surprised to see V8 and hybrid-engine versions expanding the range over the next two years, as well as a convertible model. Crucially, for the first time, the engine is connected to VW’s eight-speed twin-clutch semi-automatic gearbox feeding those 626 horses through all four wheels. This is a bigger deal than it might at first appear too. Bentley is obviously well known for the refinement and luxurious nature of its cars and while that twin-clutch gearbox is a proven and successful concept across many of VW’s brands, it’s not known for its refinement. Indeed Bentley is open and honest about the problems this has caused, delaying the arrival of the Continental by about six months. While that delay will have been painful, on the road it’s fair to say it has been worth it. One thing in common with all generations of the Continental has always been its prodigious amounts of grunt. Even 14 years on there’s still not much else like it on the road, from its engine’s silky flexibility to its sheer, seemingly never-ending wall of performance on tap when you press with your right foot harder than before. In reality, there are two cars here. Drive normally and the Continental is incredibly refined, with a good ride quality, an incredible smooth driving experience and engine with road and wind noise all well-insulated from the cabin. It is a car that you could climb into and drive to Geneva and step out with as little fatigue as if you had just popped to the shops. Look up grand tourer in the dictionary and you’ll find a picture of this Continental. And to be fair this is a car with a Bentley badge so all of that you might expect. What you don’t expect is the other side to the Continental’s character. This is not a small car and it’s hardly a light one either. 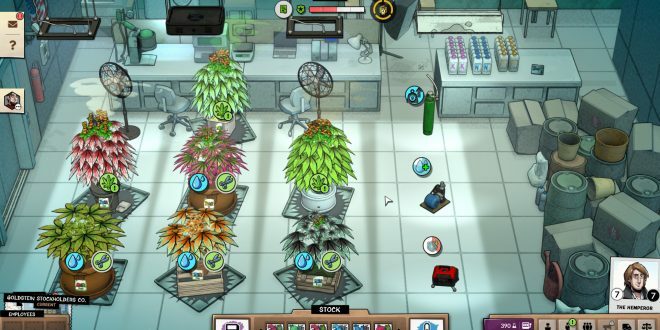 But pick up speed and start to drive it harder and a very different car starts to emerge. With all of that luxury you half expect the Bentley to feel cumbersome but the reality couldn’t be further from the truth. Press on and that W12 engine’s power is available at whatever revs or whatever gear you happen to be in. 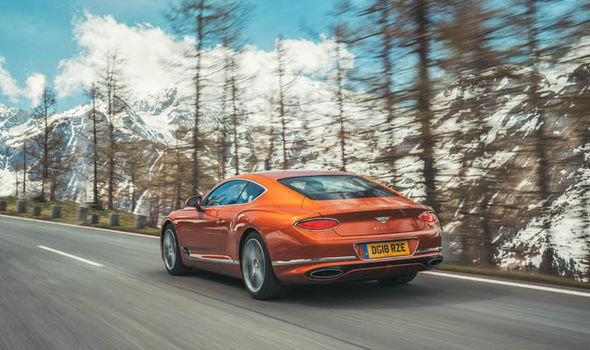 It’s a measure of just how fast this Continental can be driven point to point – and especially its incredible mid-range acceleration – that even long sections of straight road are dramatically shortened as your pace builds. More than that, though, is just how the GT feels while all that’s going on. You’re never less than aware of the car’s ultimate dimensions but the fact is that the steering and the way it turns into corners, together with the car’s overall feel, belie that size and give you more confidence than you would have found in past generations of this car. In short it’s much more agile, direct and sharper than before – a noticeable and valuable improvement combined with that effortless performance. It’s never going to feel like a Porsche 911 but there’s no doubt it will surprise plenty of those taking it for a test drive, both those lucky enough to have past experience of driving a Continental and those who haven’t. One constant that is present is the GT’s drop-dead gorgeous interior. Nobody does car interiors as well as Bentley. From the mixture of wood, metal and leather, to the obvious craftsmanship, nothing beats it. You always know you’re in a quality car when you find yourself inadvertently and subconsciously stroking and touching parts of the interior, such is its tactile appeal. 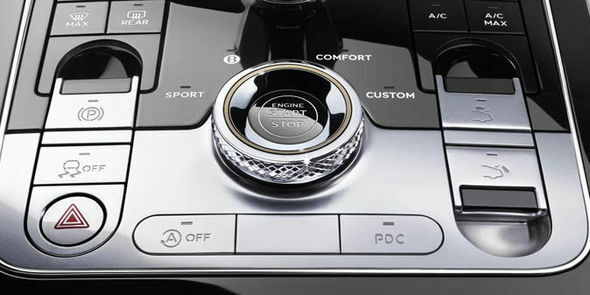 Bentley has extended the number of surface finishes that it offers, especially with the metal switchgear, and not all of it was to our taste – but that hand-crafted nature is obvious and it’s nothing short of stunning. A neat touch is also that the central part of the dashboard can rotate to show the infotainment screen, a set of three dials including a compass or a plain section that matches the rest of the dashboard. It’s probably best that only two of you enjoy that view too, since space in the rear seats is minimal even for children. 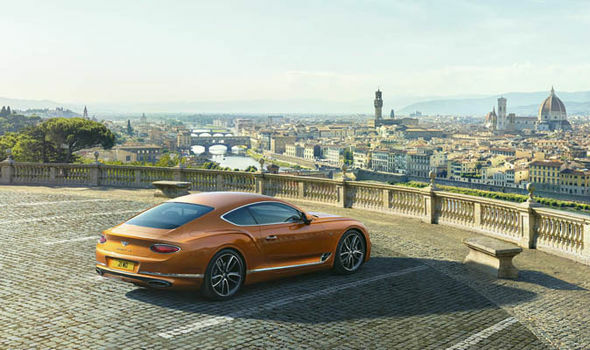 There are two ways to view this latest version of the Bentley Continental GT. It’s not as sporty as most of its rivals and those after a truly engaging driver’s car aren’t likely to be won over by this third derivative of the model. But it’s hard not to agree with Bentley’s original claim that it shaped this segment 15 years ago and that it continues to do so. The Continental remains unique and now better than ever – just the way we like it. Top ten cars that will dodge depreciation in 2017 – Do you own one?